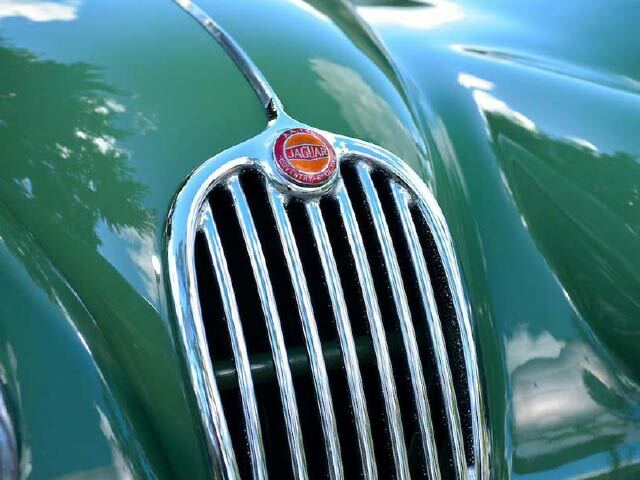 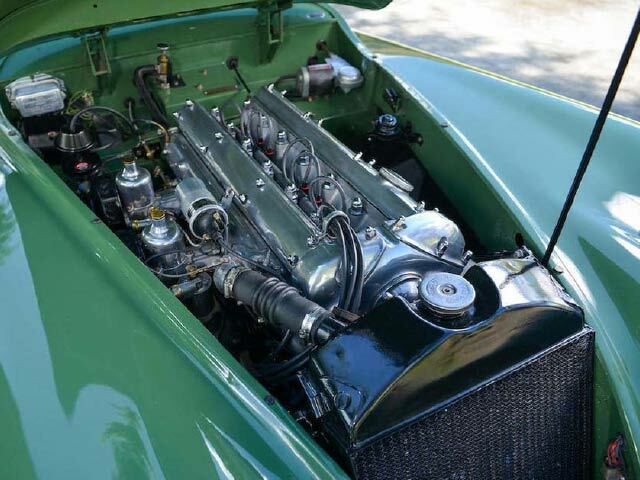 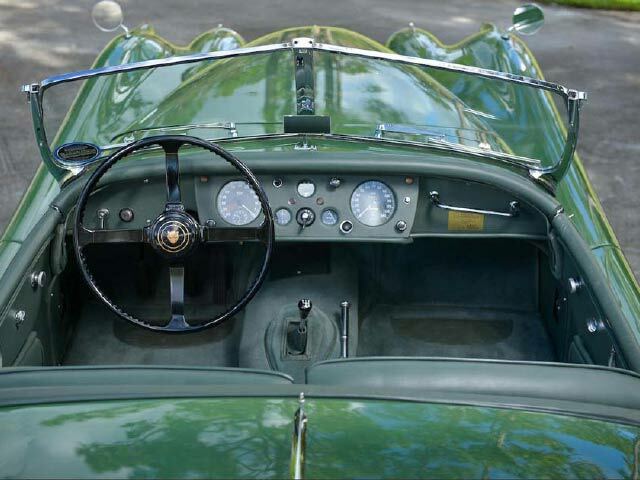 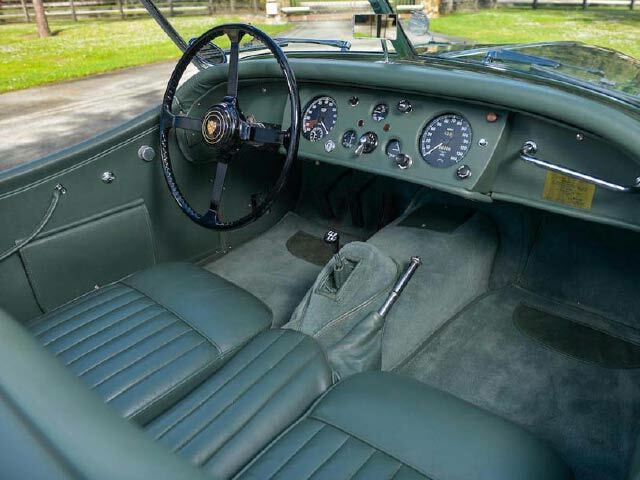 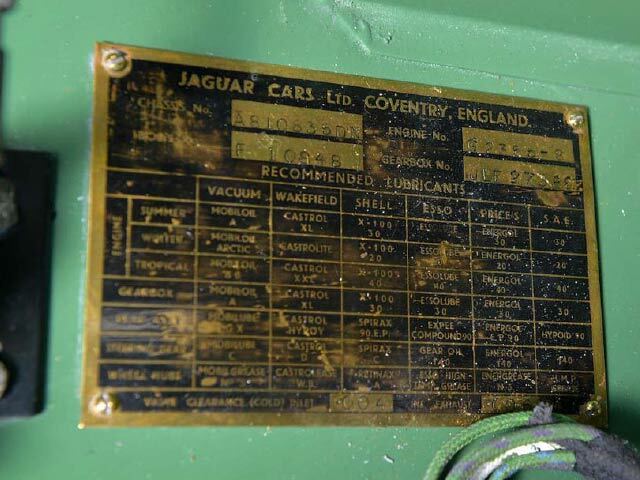 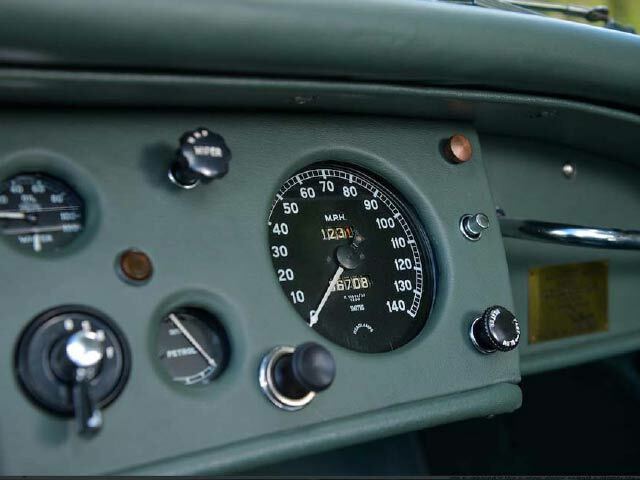 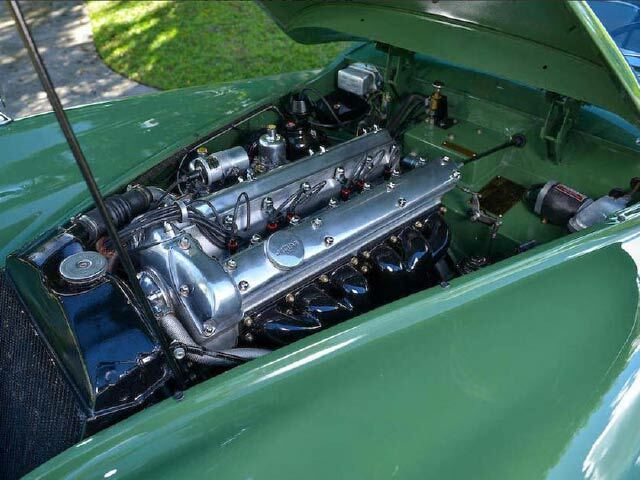 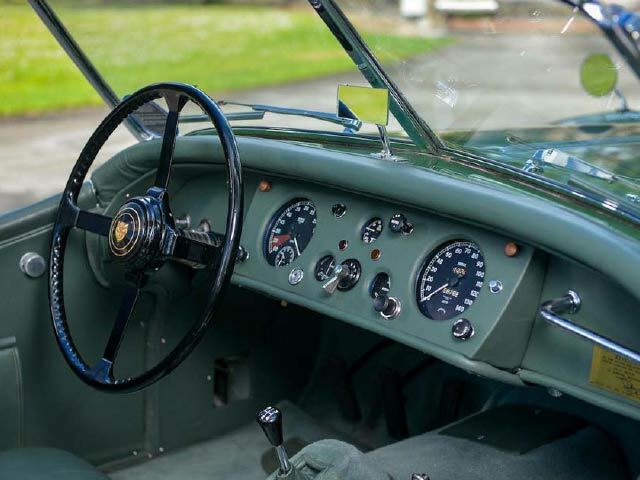 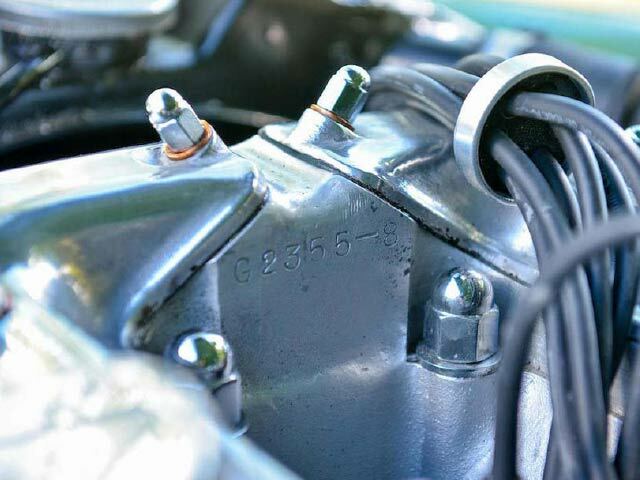 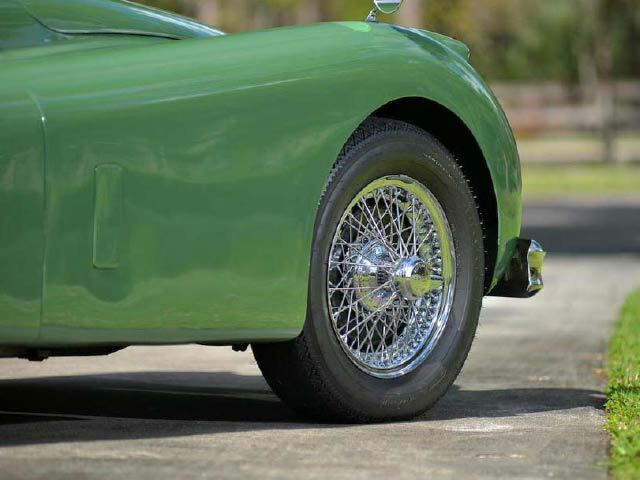 When the XK140 replaced the XK 120 it retained the same clean, flowing lines. 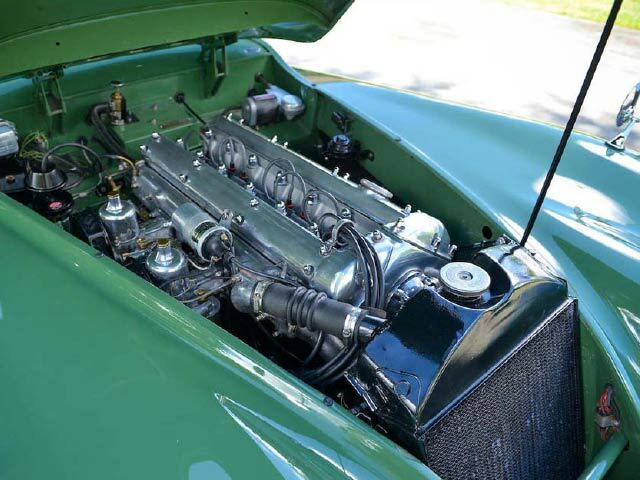 A new more powerful engine was added along with improved steering and a new rack and pinion system, resulting in tighter handling and a smoother ride. 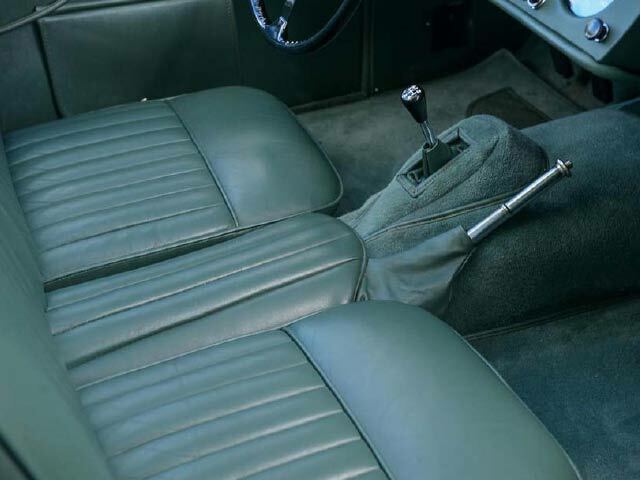 The engine was moved forward creating more leg room than in a 120. 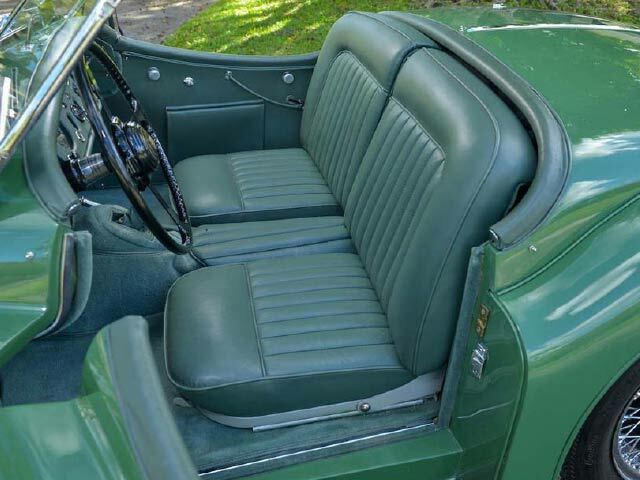 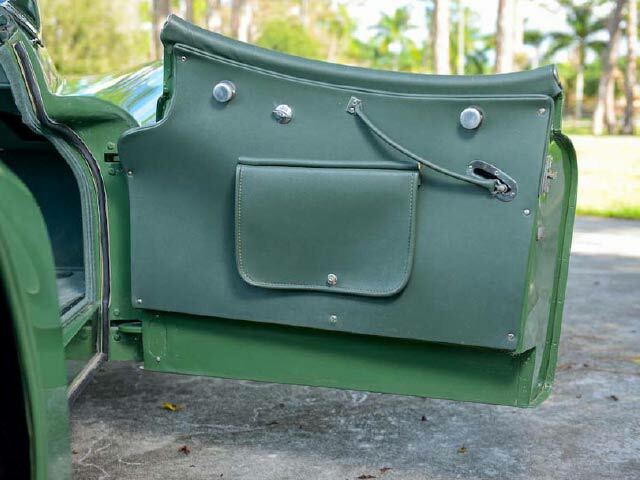 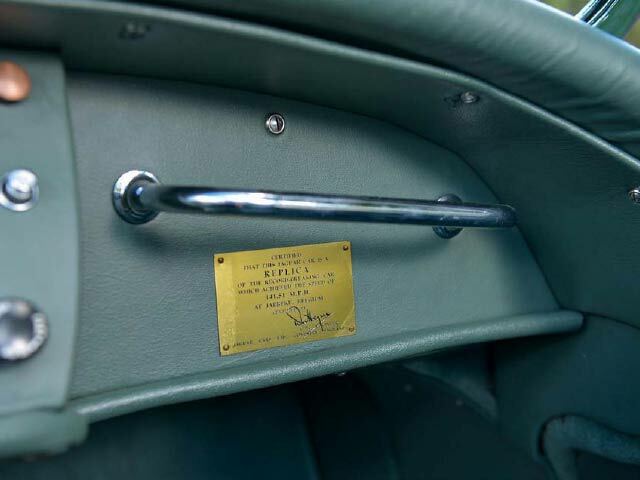 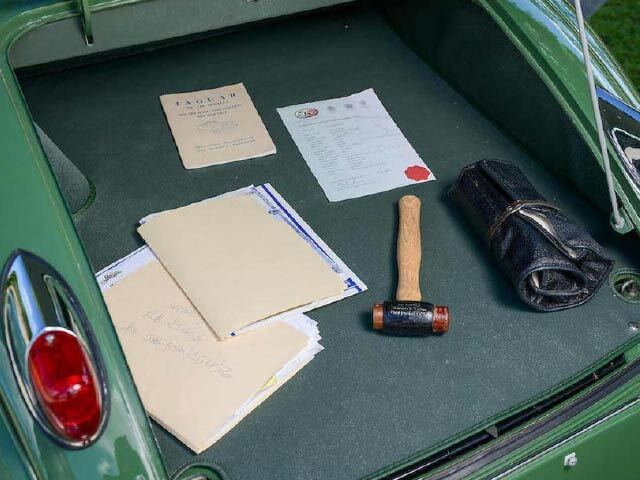 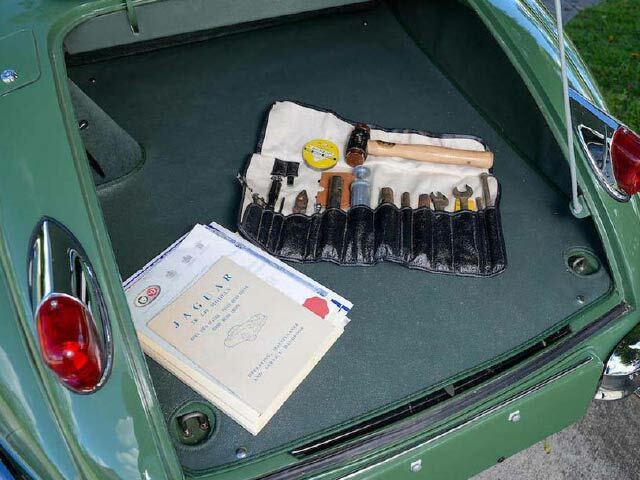 The roof line of the XK140 was lengthened to allow room for rear seats. 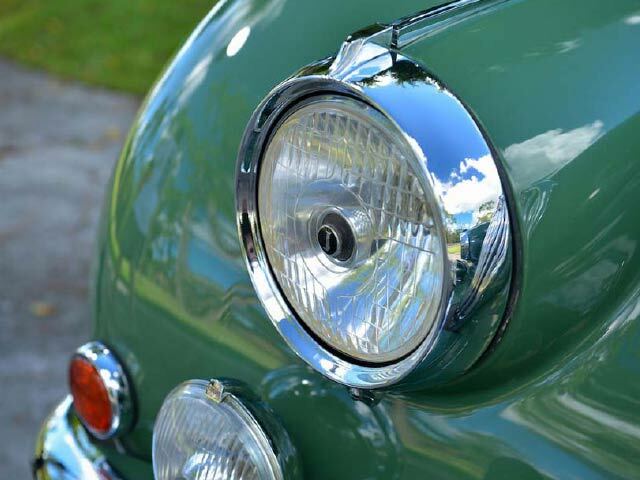 Full bumpers were fitted and gave the 140 a more distinguished. 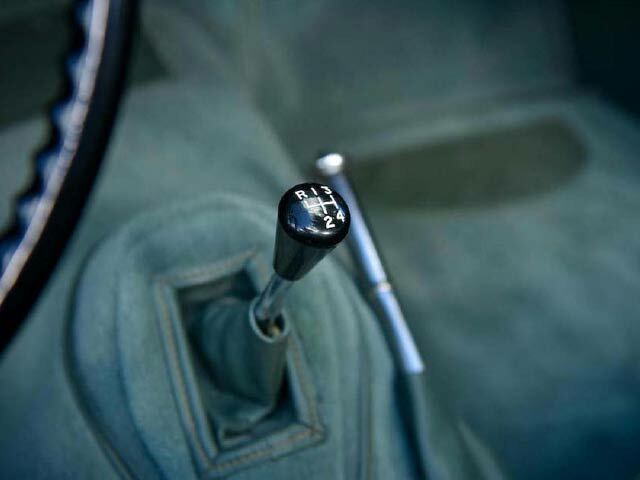 4-Speed Manual Transmission with Overdrive. 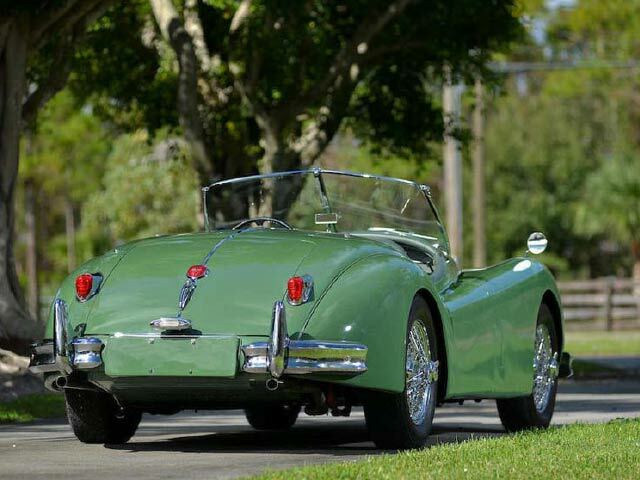 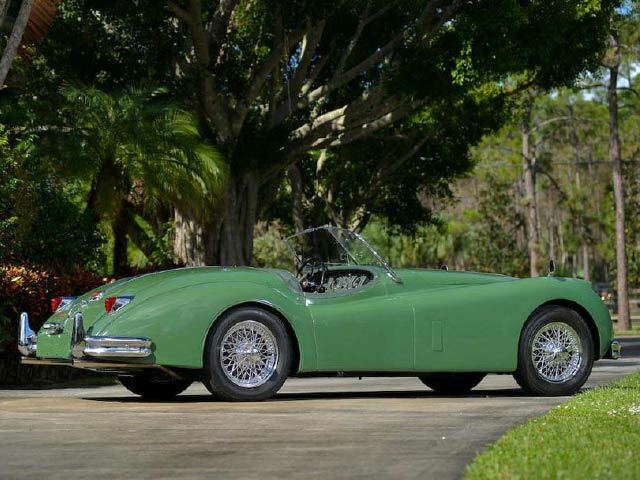 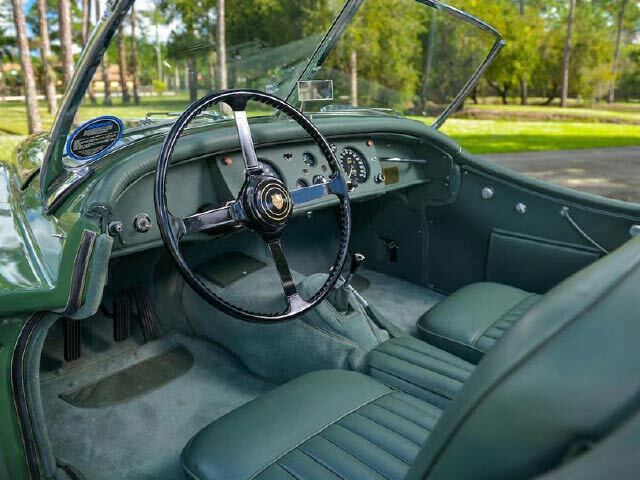 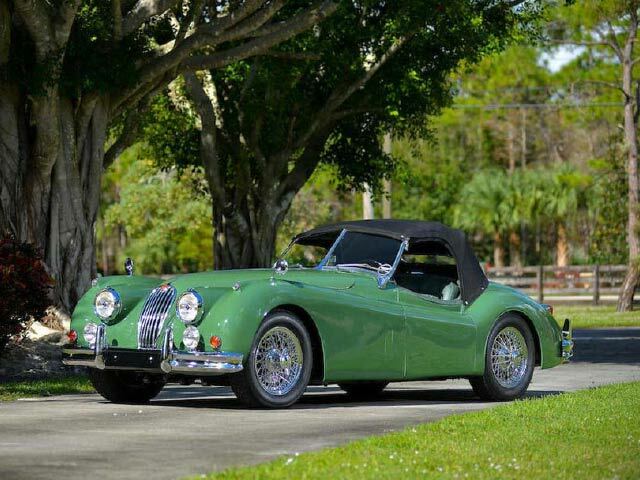 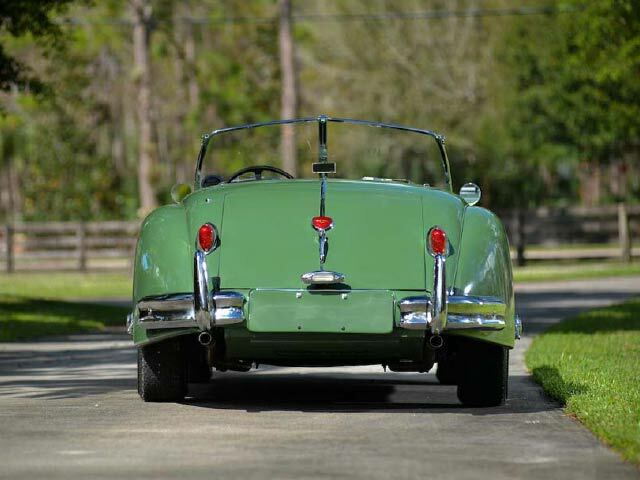 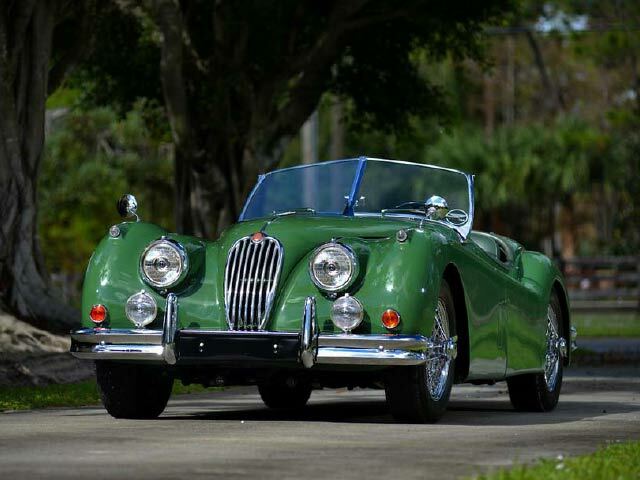 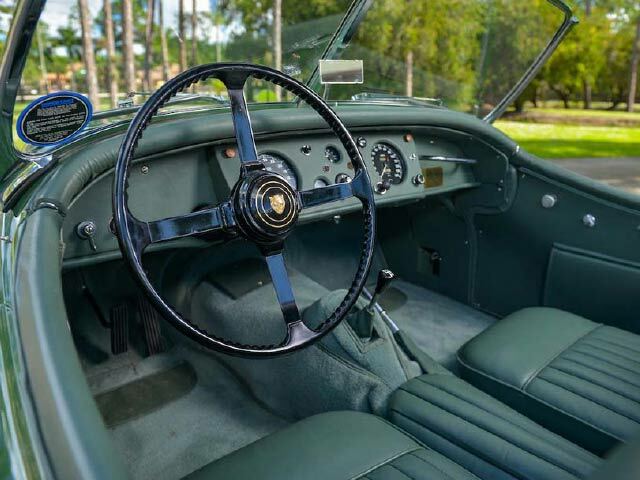 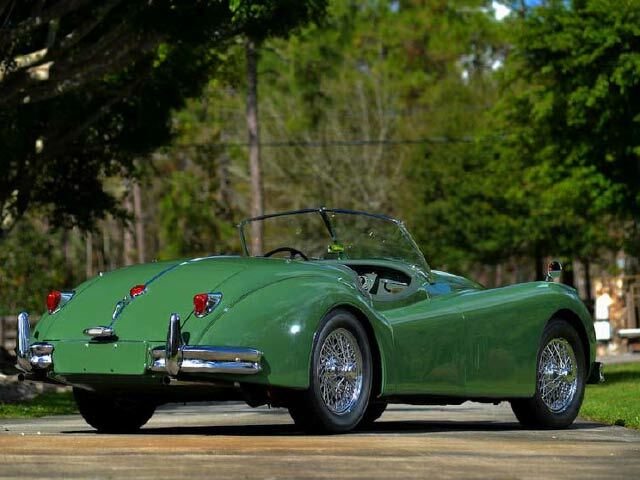 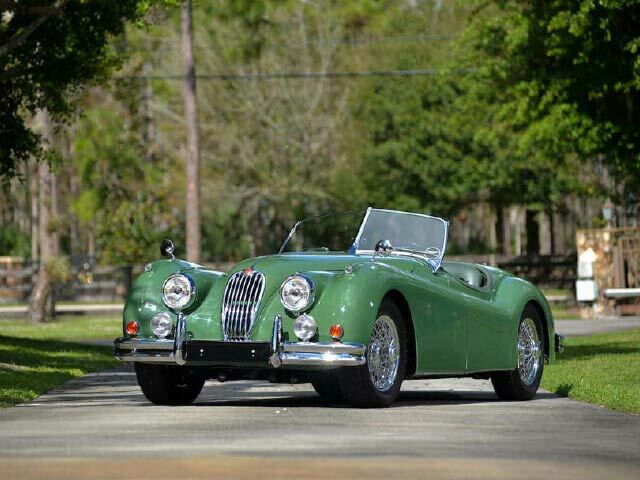 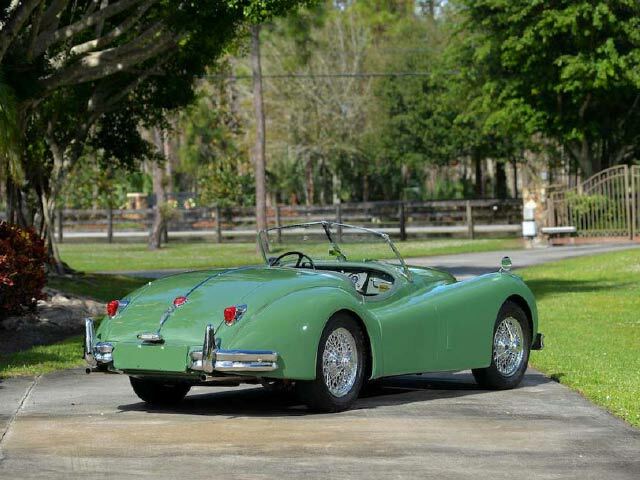 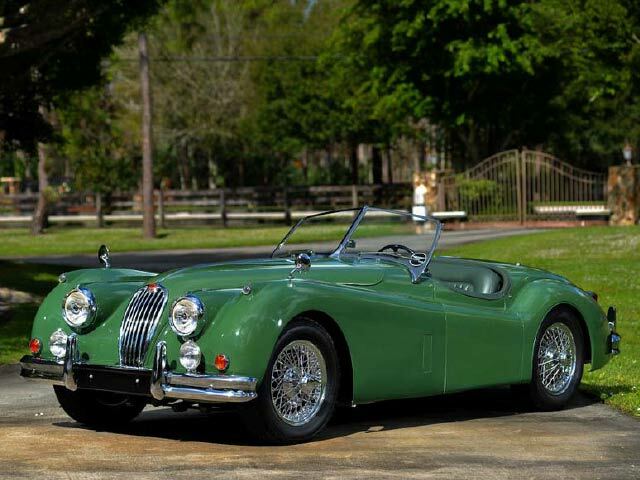 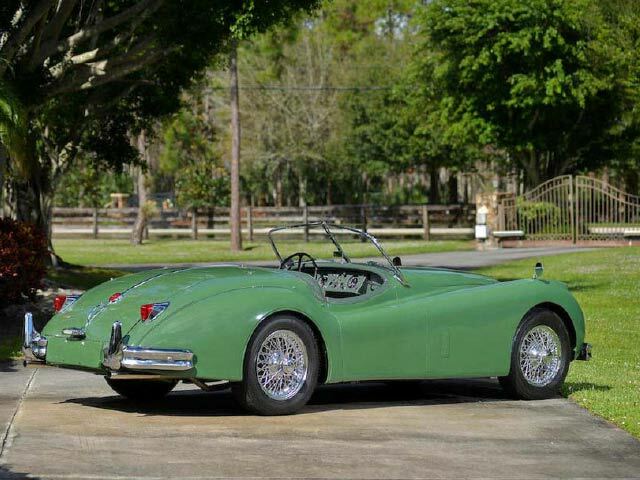 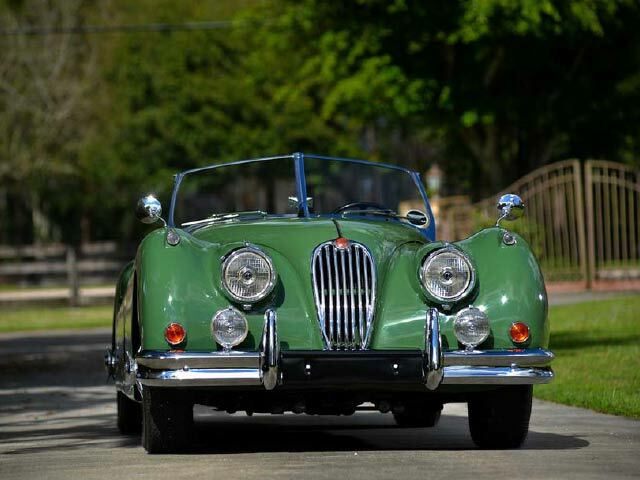 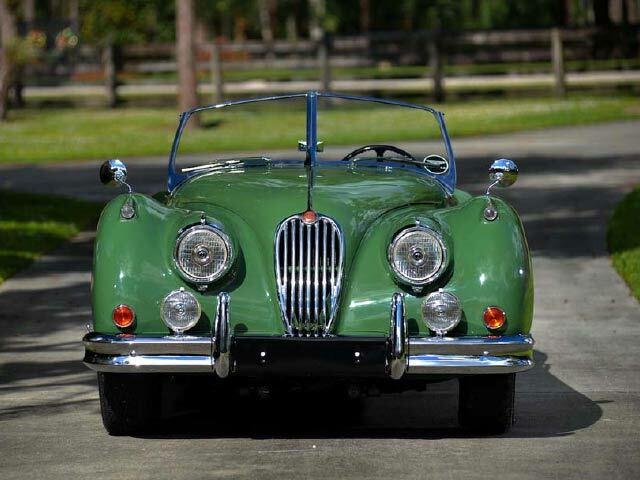 This beautiful XK 140M was originally shipped to the US on the East Coast. 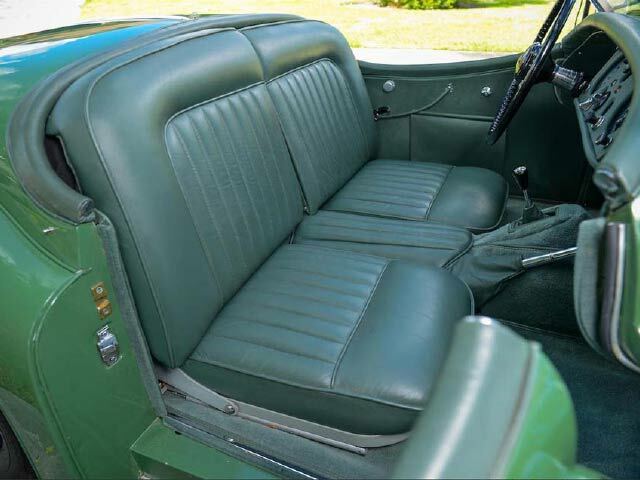 The current restoration is approximately 15 years old and shows as if it were done yesterday. 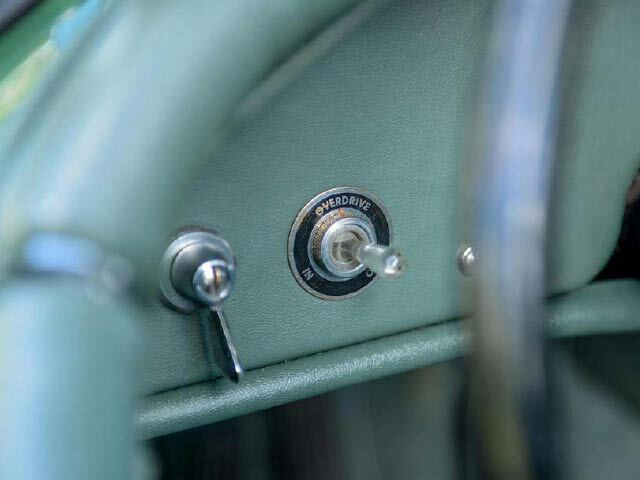 The color was changed to the current green from a light blue. 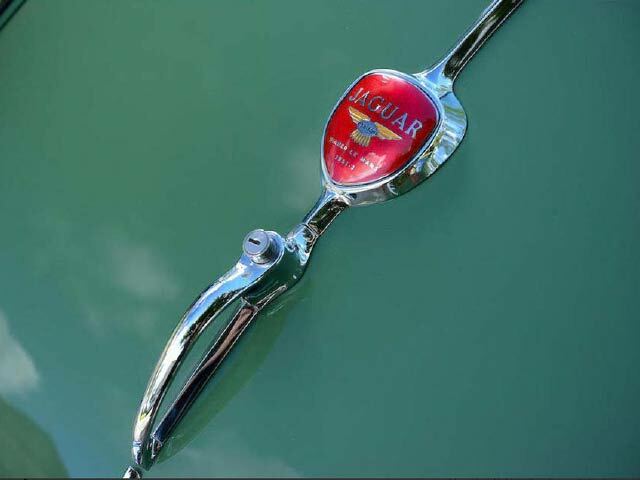 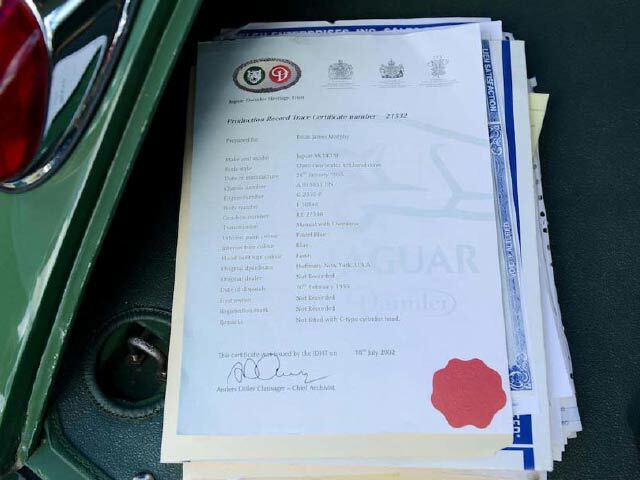 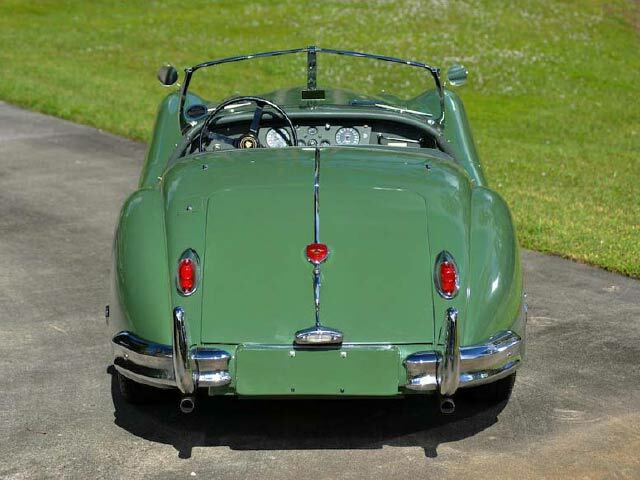 We are a certified Jaguar service facility with specialized restoration experts. 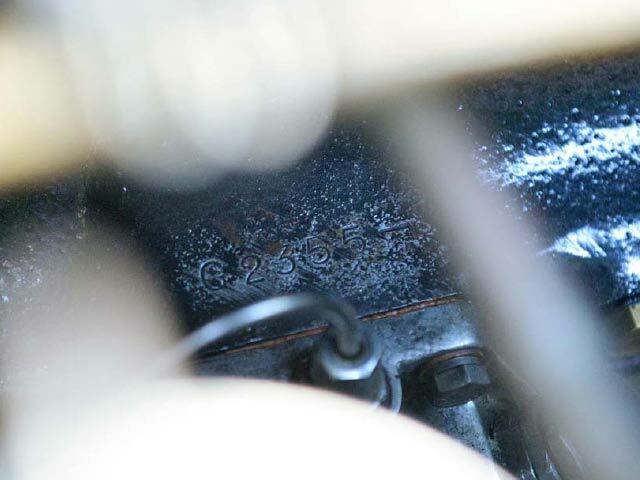 It has gone through inspection and all systems are operational. 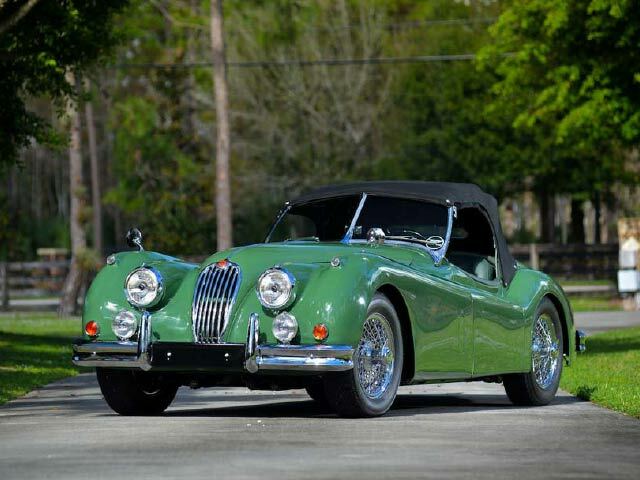 The ride and drive of this lovingly cared for classic is tight and responsive. 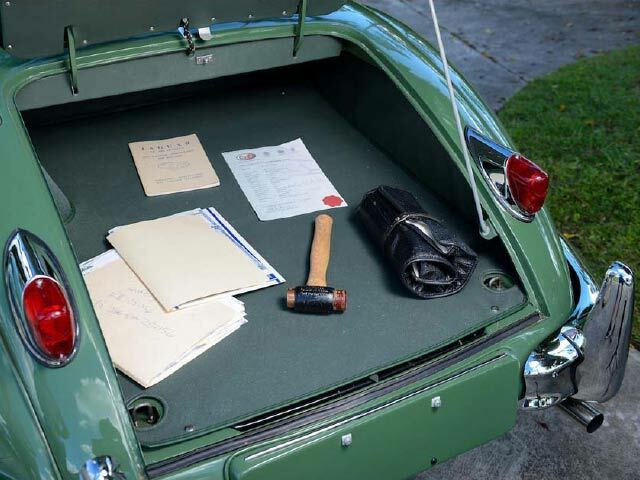 The car is registered with a JCNA Heritage certificate.